The AMOREPACIFIC CC Cushion draws from botanical wisdom and uses Bamboo Sap to deliver intensive hydrating benefits. Rich in minerals, sugars and amino acids, Bamboo Sap is also known as nature’s “divine water” and is suitable for all skin types. This weightless formula has SPF 50+ to protect the skin from UVA and UVB rays, while allowing “buildable” and correcting coverage all day long. 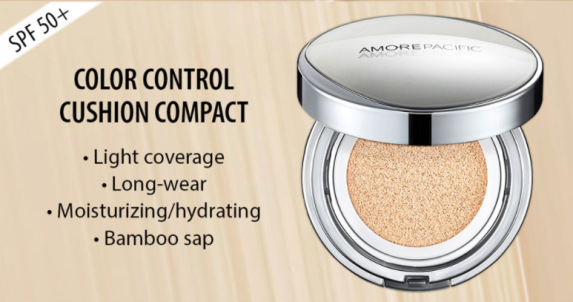 This spring, experience a luminous complexion and effortless perfection with the AMOREPACIFIC CC Cushion Compact.